When you're doing Dungeons and Adventures in PUGs you can now see at once who presses "need" on everything or who didn't select anything. After installation you can configure it by typing /afraid in any chat window or using the ESC-Menu. The window will only appear, when you're in a group and loot for all drops. You can reach the configuration window from there, too. 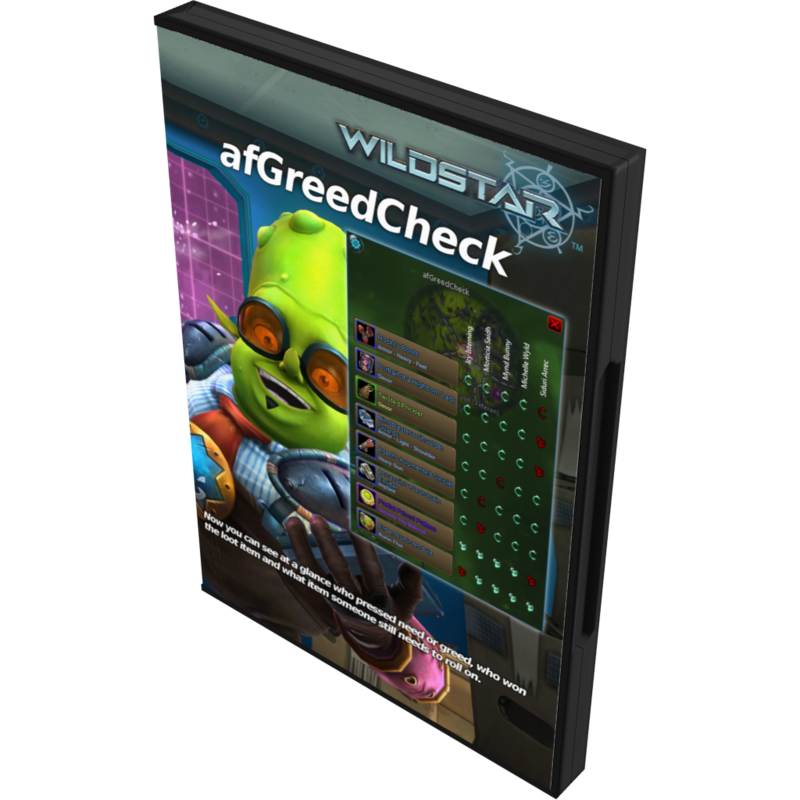 All credits to arnefi who did the original afGreedCheck. This new version v1.1 support API 12 and allow you to place the frame where you want.